Quiz: Which Spring 2011 Trend Should You Try? 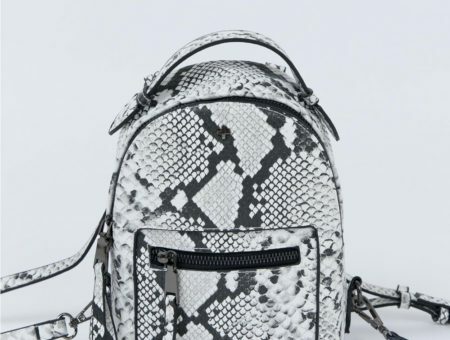 Discover your perfect Spring 2011 fashion trend with our fun personality quiz. Should you try colorblocking or ’70s boho? Find out here! Spring is known as the time of rebirth and change: flowers are blooming, the sun shines brighter and later into the day, and mother nature’s creatures seem to come alive. Similarly, in the fashion world, spring also brings in new trends. 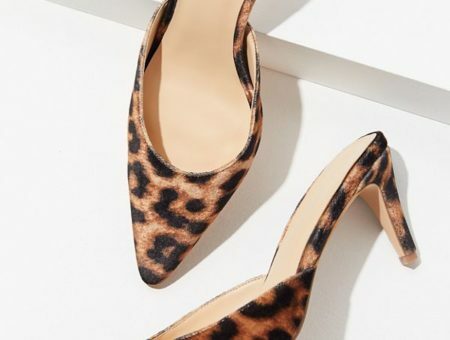 We have already featured a few spring trends here on CF such as ’70s chic, kimono jackets, and lace and have even reported on 5 hot spring shoe trends and other hot trends for spring. But with so many trends to choose from, and college budgets to stick to, most of us can’t afford to try every trend — and in fact you shouldn’t! Instead try one or a few to find one trend that best represents your personal style. After the positive feedback we received from our first personality quiz, we decided to create another to help you choose which Spring 2011 fashion trend is right for you. Just take this quiz below to find out which Spring 2011 trend best matches your personal style. Once you get your answer, find your letter and corresponding result below for a sample outfit based on your personality type. 1. What non-neutral colors do you tend to wear most often? D. Blues and whites — I love the nautical look! 2. What is your favorite thing to do in your free time? 3. Where do you like to shop most? A. Quirky and unique boutiques — I don’t want to have the same clothes as everyone else. B. Vintage stores – I love finding one-of-a-kind pieces from past fashion eras. C. Anthropologie — Their clothes are feminine, but still unique. 4. Where would you go on your dream vacation? A. Morocco – I love exploring foreign locales, and this one boasts ancient art and architecture, sun-soaked beaches, exotic foods, and vibrant culture. B. San Francisco – The laid-back, artsy vibe of this city makes it the perfect place to spend time visiting museums and quirky shops. C. Paris – The Eiffel Tower, the Louvre, street side cafes, and romance – what more can a girl ask for? D. The Hamptons – There’s nothing quite like the serenity of the Atlantic coastline in the summer. 5. Which of these is your favorite Spring 2011 shoe trend? 6. Which of these is your favorite flower? 7. What is your favorite activity to do at the beach? 8. Which word best describes your style? 9. Which of these best describes your favorite purse? Now add up your score and see which letter you chose the most! Then look below to see your result. A popular trend seen on the Spring 2011 runways was color blocking. But the colors designers used were not your ordinary neutrals. Instead, they chose bold shades of pink, blue, green, orange, yellow, and more — this trend is all about the brights! Below is an example of how you might wear this trend for a day of classes or on the weekend. 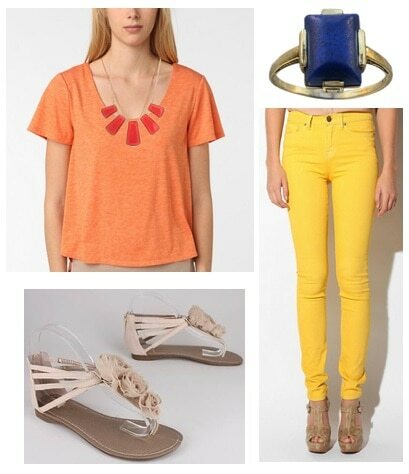 For this outfit, I started with these bright yellow skinny jeans and paired them with an orange top. One of the main tricks to pulling off this trend is to use no more than three or four bold colors in your outfit. To complete this requirement, I decided to add a red statement necklace and a simple blue ring. Neutral sandals work well here, because they do not grab any attention away from the already exuberant outfit. Fashion trends go in cycles, and this spring is definitely all about the revival of the ’70s. As seen on the runway, on celebs, and in the streets, this trend is all about maxi skirts and dresses, loud prints, peasant tops, wide-leg jeans, and platform shoes. My favorite ’70s look involves a pair of flared jeans. After many seasons where the skinny jean reigned supreme, the revival of a wider-legged jean is a refreshing change. This pair from Alloy helps achieve this look. Add on this rose print chiffon blouse that incorporates floral prints and muted tones, two popular trends seen in 1970s fashion. Some wooden platform shoes and a simple bangle set complete the look. As I mentioned in my last post, lace is another popular trend for Spring 2011 — especially lace that is sturdy and uniquely patterned. This lace skirt’s silhouette is reminiscent of the 1950s, a decade that subsequently inspired the rest of this look. The soft moss color of this boyfriend button-up top reinvents a classic piece. Accessories such oxfords, cat-eyed sunnies, and a floral ring add the finishing touches to this look. While stripes are always a spring favorite, this season designers used this pattern in a new way. This season’s stripes are dominant and play a lead role in an outfit. This striped swing top I found from Alloy represents a fun way to incorporate stripes into your everyday wear. Although the stripes on this top are not as bold as those seen in the example picture above, spring’s stripes call for dominance regardless of the stripes’ thicknesses. 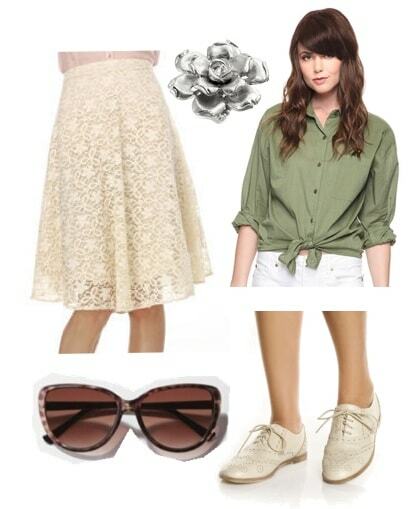 Finish this look off with some red accessories like these earrings and espadrille flats. Finally, throw on some wayfarer sunglasses to protect your eyes from the sun. What was your result? Did you like the quiz? Do you think you will try these new trends? Which trend is your favorite? Which outfit do you like the best? Please be sure to leave a comment and let me know what you think! Previous Would You Wear… No Makeup for a Day? Next Would You Wear… a Boater Hat?